A low bushy species from the sandy soils of south-west Western Australia. 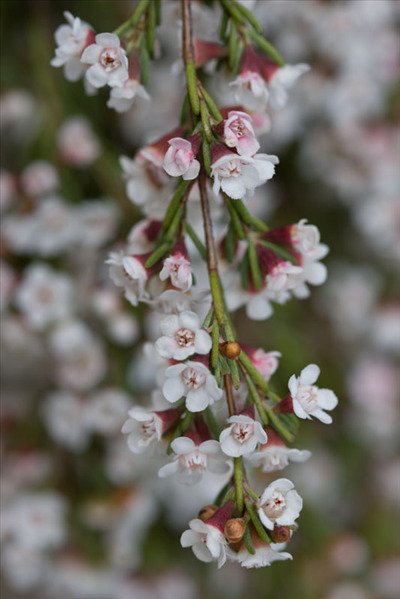 Soft grey-green aromatic foliage with pink buds and white flowers. Excellent cut flower and container plant.